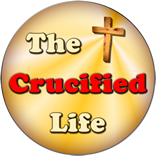 HomeThe Crucified Life Ministries BlogYou Can Count on Him! You Can Count on Him! Deuteronomy 31:6 (KJB) Be strong and of a good courage, fear not, nor be afraid of them: for the LORD thy God, he it is that doth go with thee; he will not fail thee, nor forsake thee. These comforting words of God to dispel fear and promote faith in God as recorded in the Old Testament Law in the book of Deuteronomy are eternally comforting for the child of God. Spoken in ancient biblical times and divinely recorded for our learning, this scripture is spiritually relevant for today! 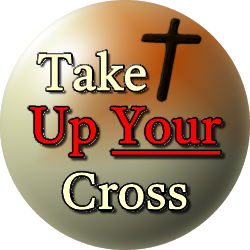 Yes, the law of the Old Testament has been fulfilled by the shed blood sacrifice of Jesus Christ upon the cross at Calvary and today we are living in a new dispensation in this Age of Grace, however, the entire cannon of God’s Word, from start to finish is still spiritually potent and eternally powerful for today as it was in ancient biblical times. God is, was, and forever will be the divine lawgiver. The one and only God who is eternally alive and full of unconditional love, mercy and grace. God can certainly dispel fear and promote spiritual courage through every chapter of His Word you can count on it!